Maintaining a happy customer base shouldn’t feel like herding cats. Customer WinBack (2001) reveals how companies can identify at-risk clients and win them back before they disappear from their databases. By using these savvy tricks, businesses can also refocus on their existing customers in order to cut costs and drive revenue over the long term. 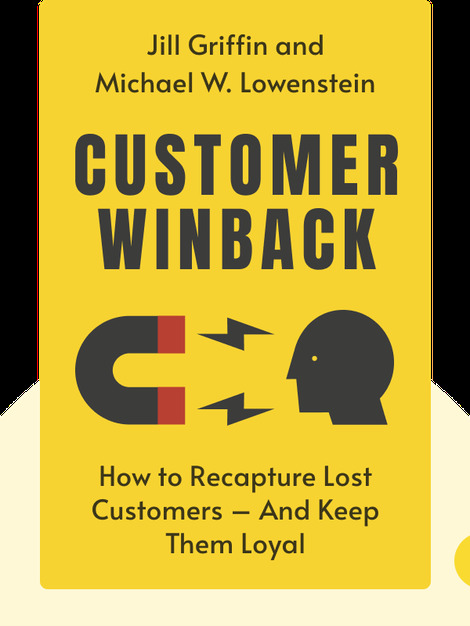 Michael W. Lowenstein is managing director of Customer Retention Associates and author of a number of books, including Customer Retention and The Customer Loyalty Pyramid. Jill Griffin is a customer loyalty specialist who has worked with huge names such as Dell, Wells Fargo and Microsoft. In addition, she is also the author of the bestseller Customer Loyalty: How To Earn It, How To Keep It. 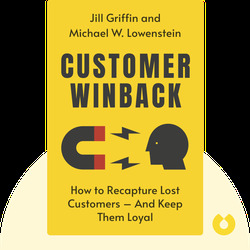 © Michael W. Lowenstein, Jill Griffin: Customer WinBack copyright 2001, John Wiley & Sons Inc. Used by permission of John Wiley & Sons Inc. and shall not be made available to any unauthorized third parties.